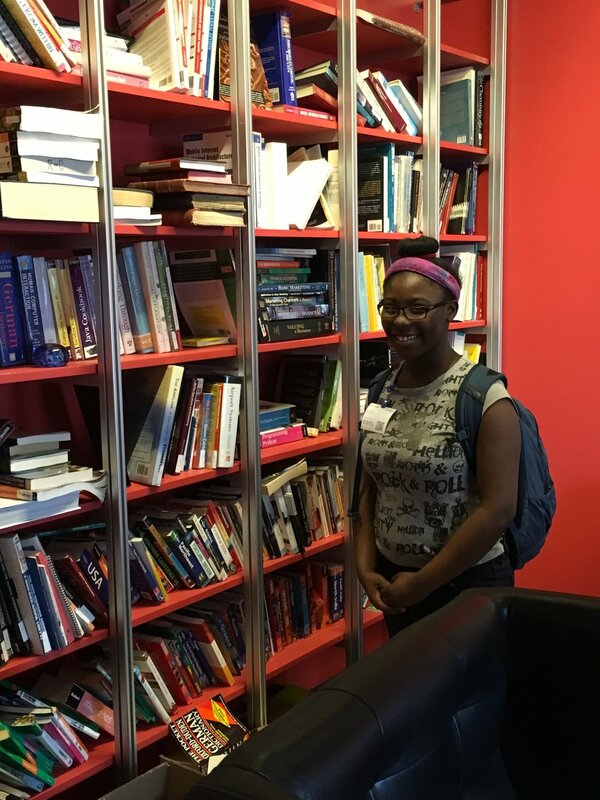 TechBoston and Young Achievers kicked off March with a trip across the river to the Google offices in Cambridge, a twelve floor building with over 800 employees. TechBoston students were treated to a behind-the-scenes look during workday hours to see what goes into the operation of the tech giant’s Boston hub. The tour included stops at the library, micro-kitchens, nap pods, game room, airplane room, gym, cafeteria, and an extended moment with the office dog, Rebel. By the end of the tour, our student-athletes (and coaches) were wishing they could live at the luxurious Google office! After the tour, students had the opportunity to hear from a panel of both software engineers and advertising sales specialists about their roles at the company and why they enjoy working for Google. A lively Q&A session followed and students learned about the kind of education needed in order to work for Google, the origin of the name Google, and the array of services the company offers. We would like to thank Bryan Layman and Jim Fairweather for hosting us and creating a valuable learning experience for our student-athletes as well as the panel for sharing their time and insight into their impactful careers.